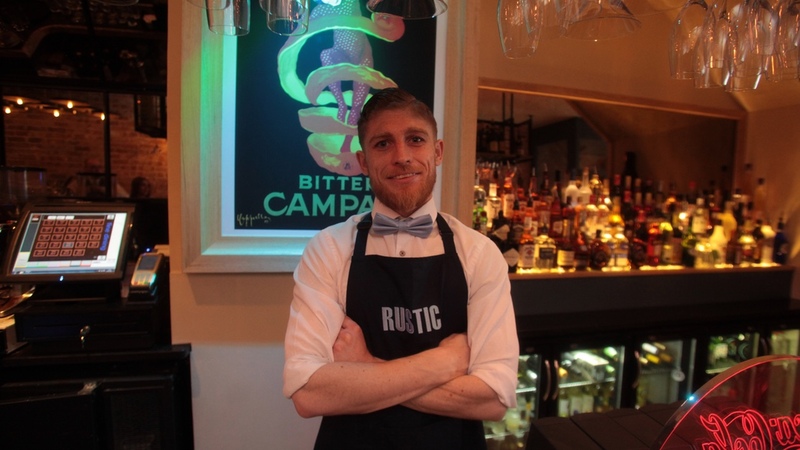 WELCOME TO RUSTIC ITALIAN RESTAURANT AND BAR NAAS. 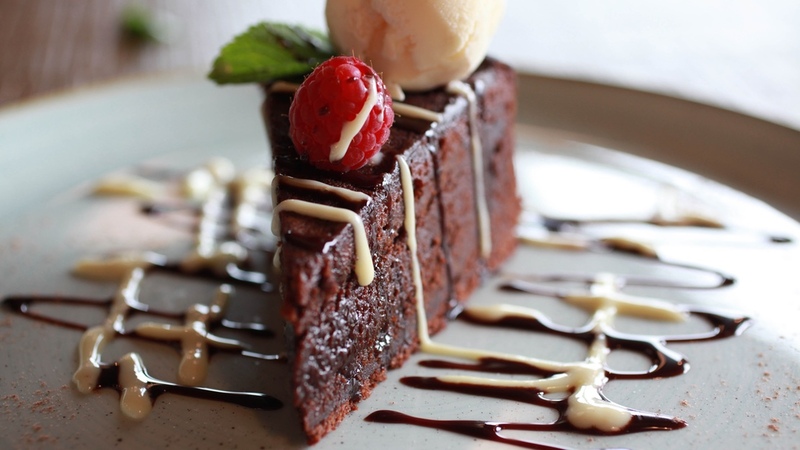 Rustic Restaurant and Bar Naas is a classic combination of New York style bar and authentic Italian food. 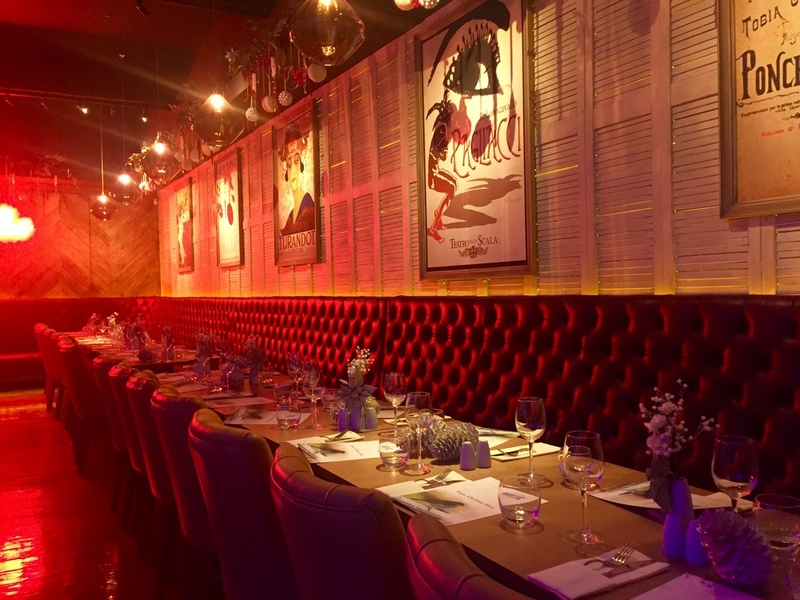 Our sumptuous interior is the perfect place to enjoy a meal and drinks in a busy and buzzy atmosphere. Our friendly staff will ensure you receive prompt and professional service and the food will delight you. 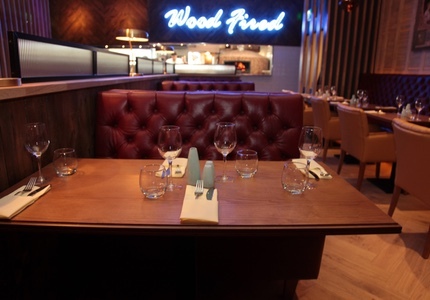 This casual dining restaurant is bound to become an institution in Naas, and we look forward to welcoming you soon. 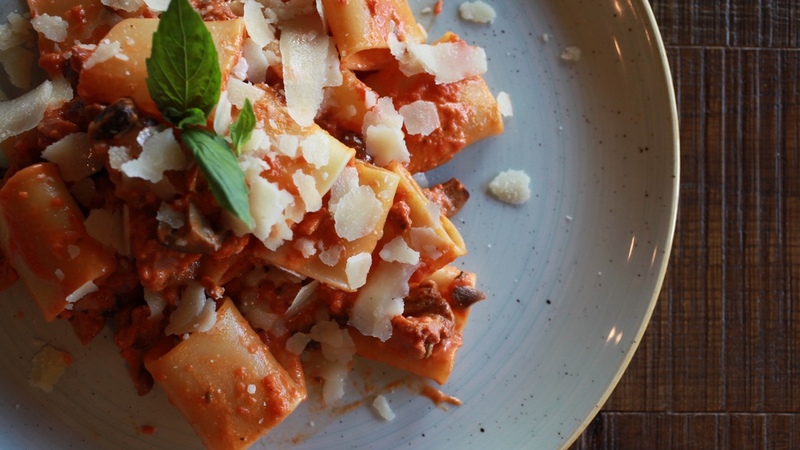 We make our own pastas, and every day our chefs prepare the dough for our authentic wood fired pizzas, cooked in our wood burning stove imported from Italy. We only use Caputo 00 Flour, San Marzano tomatoes, and where possible real Buffalo Mozzarella. 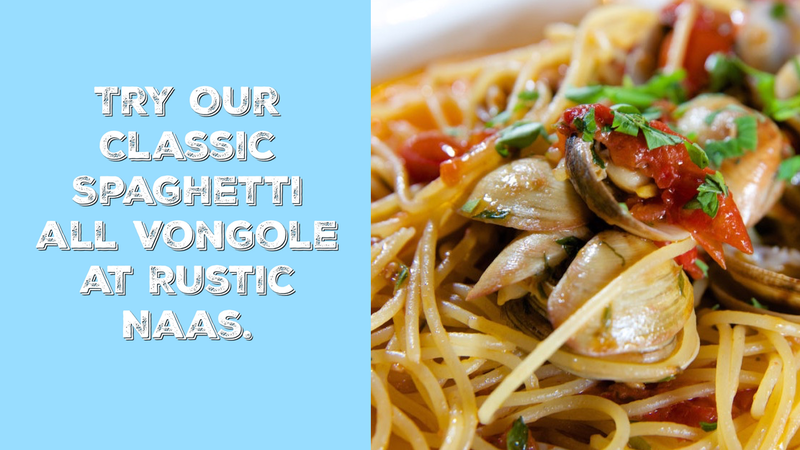 Try our range of homemade pastas with authentic Italian sauces. We cook a mean steak as well, and each day our fish is fresh and cooked to order. We really try hard to make the best possible food, we never use frozen, and we know you will love it. All of our products are sourced locally where possible and from the Abruzzo and Campania regions of Italy. We use no additives, no stabilizers, and none of our products are ever frozen. Freshness and quality is paramount to our team who make all of our food daily in our kitchen. Crafty beers, fine wines and great coffee complete the picture. "Busy, buzzy and sumptuously designed, Rustic is a breath of fresh air for Naas." Taste of Ireland 2017. "Love the pizza, it’s fresh and delicious and even feels healthy! Laura, Kilteel. Private at Rustic is the perfect place to celebrate your next big event, whether that's a birthday, anniversary, a new product launch, press reception of a company night out. We can cater for groups large and small, up to parties of 40. If you'd like to book or have any questions just email us on private@rustic.ie. We look forward to hearing from you. Toasted ciabatta bread topped with home-made wood-fired roasted pepper, pesto and black olive paste. 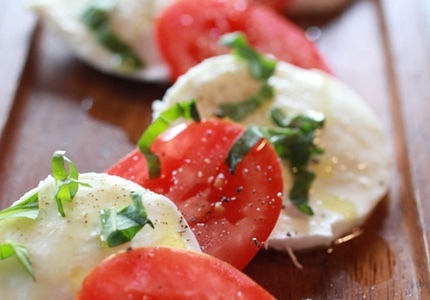 Pure Buffalo Mozzarella served in its original form with extra virgin olive oil and basil leaves. 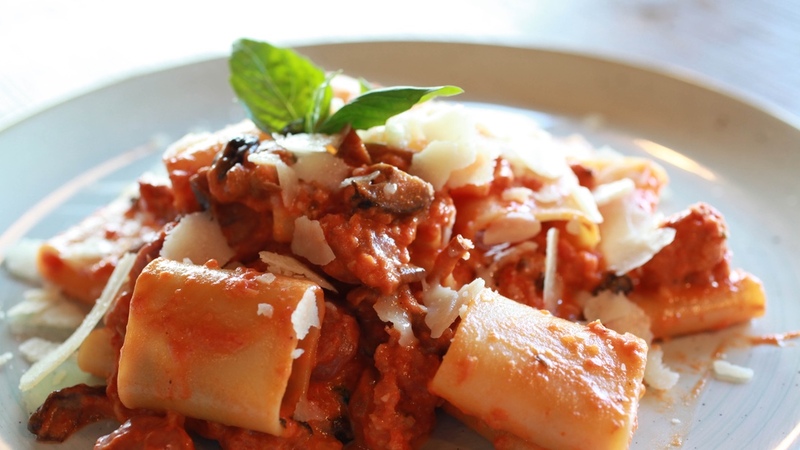 Minced Irish beef cooked in a traditional classic Italian sauce served with Rustic home-made pasta. Traditional Italian layered pasta with bolognese sauce and topped with mozzarella cheese. Fresh cream sauce, bacon, onion, garlic and spices. Lasagne with a modern Rustic twistChicken, mushroom, garlic, spinach, leeks and chilli tossed in a creamy mascarpone sauce layered on our homemade pasta sheets garnished with Parmesan cheese. Chorizo sausage, tender spinach leaves with wood-fired roasted mushroom tossed in our homemade fettuccine pasta in a creamy white wine sauce sauce garnished with goats’ cheese pieces. Crumbles of fresh Italian sausage marinated with fennel seeds, asparagus tips, roasted cherry tomatoes and basil, garlic, chilli with a hint of cream served with pappardelle pasta. 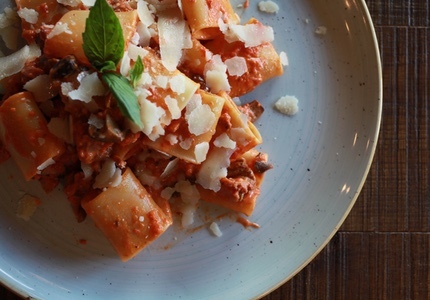 Slow-cooked shredded duck in a chef’s homemade ragu sauce consisting of garlic, onions and carrot and fresh rosemary served with pappardelle pasta. Fresh courgettes, peppers, tomato, spinach, red oninon and garlic sautéed in basil oil and tossed with our home-made spaghetti. (Can also be served with cream or tomato sauce). Cooked with strips of chicken, leeks, onions and chillies in a cream sauce served with fettuccine pasta. Spaghetti pasta tossed in a fiery hot tomato sauce with strips of chicken, bacon, mixed peppers, onions, garlic and spices. A classic Italian dish with fresh clams, garlic and chillies tossed in our homemade spaghetti pasta garnished with flat parsley. Succulent tiger prawns, cherry tomatoes and porcini mushrooms in a cream and white wine sauce topped with fresh rocket leaves. Irish Lean beef mince with mixed herbs and spices with red onions, tomato, lettuce, smoky bacon, blue cheese and our home-made burger sauce accompanied with onion rings and French fries. Grilled fillet of Salmon served with a lemon herb butter sauce accompanied with roasted garlic mashed potatoes. Supreme breast of chicken marinated in hot spices and served in a spicy cream and tomato sauce with a combination of shallots, peppers and julienne of chorizo sausage accompanied with garlic and rosemary potatoes. Veal scallops served in a butter and sage sauce with Parma ham served with rosemary potatoes. Oven-baked fillet of Sea-bass served with a turmeric and sundried tomato cream sauce accompanied with rosemary potatoes. Tender marinated lamb chops (served pink) on roasted garlic mashed potatoes with a fresh mint sauce garnished with roasted cherry tomatoes served with seasonal vegetables. Char-grilled 10 ounce Sirlion steak served on a bed of rocket leaves with Parmesan shavings with a warm rosemary and red peppercorn olive oil dressing accompanied with rosemary potatoes. Char-grilled 10 ounce Rib-eye steak served with a garlic butter sauce and rosemary potatoes. 8 ounce fillet of Irish Beef served with black pepper sauce accompanied with rosemary potatoes and seasonal vegetables. Truly Napoletana pizza using no cheese, just tomato sauce, garlic, oregano and fresh basil. Real fresh Italian Mozzarella cheese, tomato sauce, and basil leaf. Fresh Mozzarella, honey-roasted ham, a selection of mixed wild mushrooms, smoked Mozzarella and torn basil leaves. Tomato sauce, fresh Mozzarella, fresh chillies, spicy Italian-style pepperoni, and torn fresh basil leaves. Tomato sauce base, fresh mozzerella, grilled courgettes, grilled aubergines, oven roasted red peppers, onions garnished with fresh basil leaves. Real Buffalo Mozzarella from Campania region of Italy, wood-fired roasted San Marzano cherry tomatoes, extra virgin olive oil, torn basil leaves and slices of Parma ham. Tomato sauce, fresh mozzarella, carpaccio of pineapple, oven-roasted honey ham and fresh basil leaves. Classic American pepperoni, tomato sauce and fresh mozzarella. Tomato sauce, fresh mozzarella, grilled courgettes, smoked pancetta (Italian streaky bacon), goats’ cheese, oregano and caramelised onions. Tomato sauce, fresh mozzarella, mixed wild of oven-roasted chicken breast in white wine. Tomato sauce base, wood-fired roasted Italian sausage marinated with white wine and fennel, wood-fired roasted peppers, fresh mozzarella, and baby spinach leaves. Tomato sauce, fresh mozzarella, basil leaf, fresh chilli, oven-roasted red onions with a fiery mix of ‘Nduja sausage (very spicy sausage meat from Calabria), and strips of Ventricina salami (spicy salami from the Abruzzo region). Tomato sauce, fresh mozzarella oven-roasted honey ham, mixed wild mushrooms, artichoke, Kalamati olives and fresh basil leaves. Tomato sauce, fresh mozzarella cheese, Thai style chicken strips, oven- roasted onions, chillies and Thai spicesA little taste from the East. Tomato sauce, American pepperoni, pancetta (Italian streaky bacon), honey- roast ham, Italian sausage, oven-roasted smoked chicken, chorizo sausage. Extra virgin olive oil base, real Italian mozzarella, San Marzano cherry tomatoes, slices of Parma ham and parmesan shavings topped with fresh rocket leaves. WE HAVE CREATED THESE TWO PIZZAS COMBINING THE VERY BEST INGREDIENTS FROM ITALY AND IRELANDWE HOPE YOU ENJOY OUR NEW CREATIONS. Clonakilty black pudding, crispy pancetta, mixed wild mushrooms, tomato sauce, Fiore Di Latte mozzarella, basil leaf and garlic. Ardsallagh goats’ cheese, tomato sauce, oven roasted red peppers, garlic, caramelised onion, basil leaves, parmesan cheese, extra virgin olive oil topped with rocket leaves. Strawberry and vanilla ice cream layered with fruit of the forest and drizzled with berry sauce. Cream cheese mouse served on a biscuit base. Please ask server for flavour of the day. Baked vanilla creme mouse served with fruit of the forest fruits. Layered sponge cake, Italian-style with liqueur. Crunchy-based toffee-flavoured cake garnished with banana. Bacardi, Strawberry Purée, Sugar Gomme, Fresh Lime, Triple Sec. Shaken and strained over fresh crushed ice. Absolute Vodka, Kahlúa, Sugar Gomme, Espresso, House-made Vanilla Gomme. Shaken and strained into a Martini glass, chocolate sprayed and bean garnished. José Cuervo Silver, Disaronno Amaretto, Fresh Lime, Grand Marnier, Agave PuréeShaken and strained over rocks in a chilled Collins. Garnished with a cheery lemon bouquet. Disaronno, Fresh Lemon, Demerara Arab Syrup, Angostura, Egg White. Shaken and tea-strained over rocks in a glass. Lemon Zest-infused Jameson, Egg White, Sugar Gomme, Angostura. Shaken and tea-strained over ice in a rocks. Wild Turkey, Angostura, Sugar Gomme, Orange Zest. Built. In a rocks With care. Monkey 47, Fresh Lemon, Strawberry Purée, Prosecco Top. Served floating in a flute glass. Hendricks, StGermain, Rosewater, Fresh Lemon, Sugar Gomme. Stirred and strained. Dingle gin, fresh lime, grapefruit juice, cocci Americano, orange bitters, honeyShaken and strained over Collins and ice. Gunpowder Gin, Serrano pepper, fresh basil, fresh cucumber, fresh lime. Garnished with a lemon rose sat on a spice box. Hendricks, Lavender, mint, cucumber, water carbonate, sugar gomme, Built Like the place your sitting. In addition to our delicious cocktail list we have a full bar license with a full range of premium spirits, beer on draft and bottled craft beers. Rustic Pizza gift vouchers make the perfect present, and you can order them online.